We’re always delighted to discover that other websites think enough of Beckley Furnace to write about us, or to provide links to our website. So, here are some useful links about Beckley Furnace and the Iron Industry for those interested in pursuing them beyond this website. In most cases, these sites have considerable worthwhile information if you are interested in Beckley Furnace, or the iron industry, or the beautiful Northwest Corner of Connecticut, where we’re located. We also suggest that you visit our “References” page for some other websites with useful (but more specialized) information about Beckley Furnace and the iron industry. Needless to say, we hope that the first page you visit after this website is our own Facebook presence! While we update this website frequently, our most up-to-the minute news usually appears first on Facebook. Next, take a look at Connecticut’s Department of Energy and Environmental Protection (DEEP)’s page about Beckley Furnace! Be sure to spend some time at Housatonic Heritage! They are our local National Heritage Area. In fact, Beckley Furnace is the keystone to the Housatonic Heritage Iron Heritage Trail! We encourage you to visit their site! 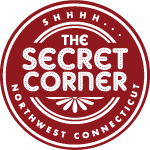 There is plenty going on in Northwestern Connecticut regardless of the season, and these people know about most of it. …and, not surprisingly, they have a page about Beckley Furnace! Have a look at it — and check out the neighbors, too! …but you would expect that, wouldn’t you? Have a look at their page about Beckley Furnace! The Size of Connecticut had a great reaction to Beckley Furnace. We love it!! Outdoor Staycations gave us a nice review. 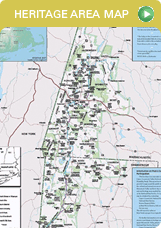 The A to Z of Connecticut State Parks had quite a bit to say — and we appreciate it! !